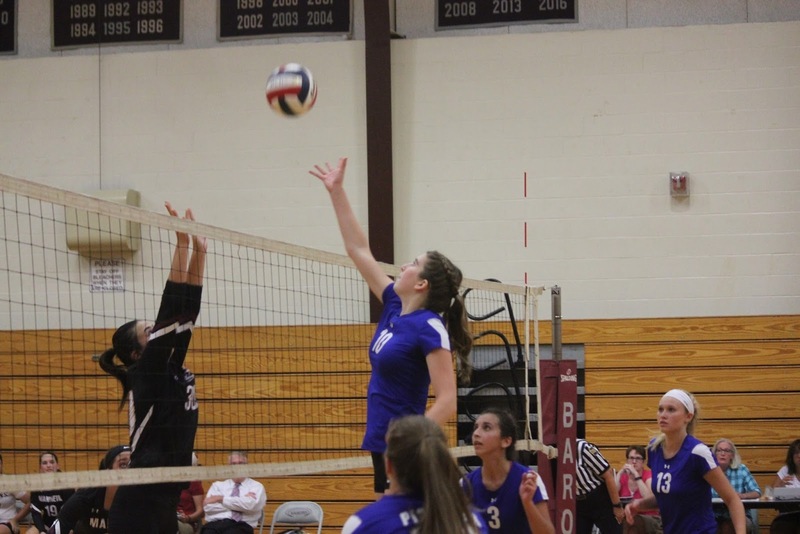 The Lampeter-Strasburg Girls’ volleyball team opened their 2017 season with a win. On September 5 both the varsity and JV teams traveled to Manheim Central to play against the Barons in their first game of the season. 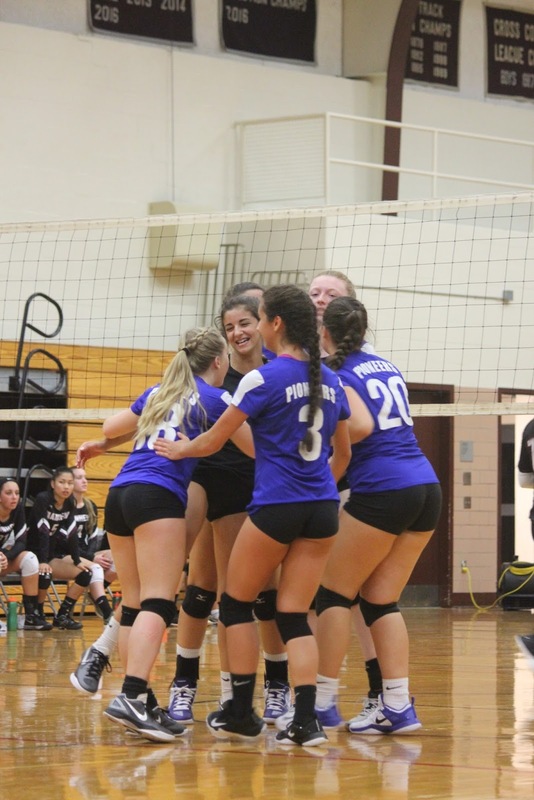 The Varsity team won the match 3-0, winning their games by the scores of 25-17, 25-16 and 25-23, while the JV team was triumphant too, winning their match 2-0 by the scores of 25-11 and 25-16. Starting off the night, the JV team secured a promising start to their season. They fought hard and aided by the strong serving by Kyra Hersh, Lily Hoke, and Fabi Rodriguez the JV team was able to secure early leads in both games, bringing Lampeter-Strasburg the first victory of the night. After the JV’s success, the Varsity team took the courts feeling pumped up and ready to win. The Lady Pioneers scored the first point with a spectacular block by Hailey Hoover. Senior Hailey Hildenbrand then brought her team to an early lead of 9-3 through her strong serving, while Alexa Troiano had 2 powerful kills to keep LS in the lead. The Lady Barons tried to fight back, but with a double block by Betsy Brenneman and Emma Cohen the Varsity team’s first win of the night was sealed with a score of 25-17. The second game was just as action-packed if not more intense than the first game. With incredibly powerful serves by Emma Cohen, the Lady Pioneers acquired a reassuring early lead of 7-1. 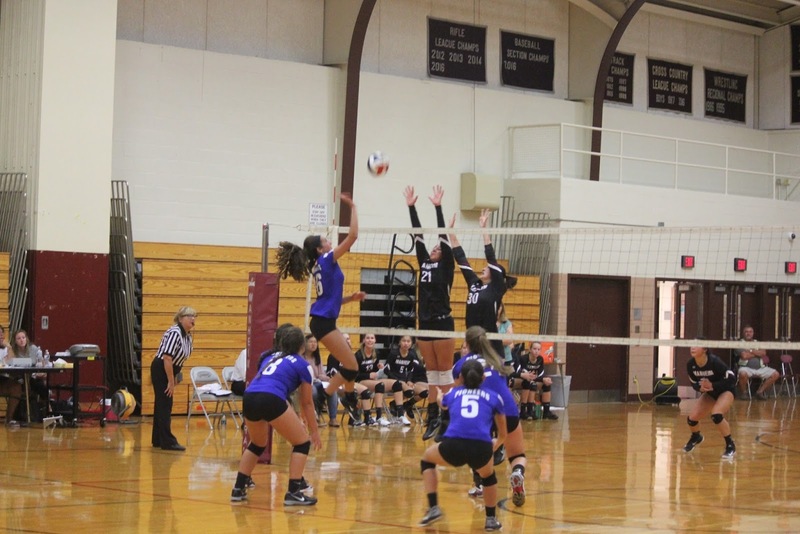 Seeking a comeback, the Lady Barons fought back hard with fast serves and kills, successfully obtaining a 10-9 lead. Determined to keep the Barons at bay, Hailey Hoover had consecutive kills and brought Lampeter-Strasburg an impressive comeback, taking the lead at 16-11. A hard spike by Emma Cohen made the score 19-11, and, riding that momentum, LS won the second match with a score of 25-16. After two hard fought games, both the Barons and the Pioneers had an incredibly intense third game . The first few minutes of the match were back and forth with both teams making unforced errors, resulting in ties at 3-3 and 7-7. The Barons then found their stride and with the help of a few well-placed serves, they took the lead. After the Barons increased their lead, the possibility of losing game 3 became a reality, and LS began to battle back. The game heated up and LS took control again, tying the game at 16 and 18. With the score at 20-20, Abbie Powell took the court to serve her team to victory, which is exactly what she did. Powell brought the score to 24-23. A trick set to the other side of the court was all LS needed to secure a win of 25-23. Congratulations to both the JV and Varsity teams who left Manheim Central Tuesday night with a positive outlook on the 2017 season ahead of them.